Gary Rock looks out over his dairy farm in LaRue County, Kentucky. Rock says his farm's days are numbered. While the land has turned out tobacco, soybeans and other crops over the years, since 1980, dairy has nourished the family during good times and in tragedy. 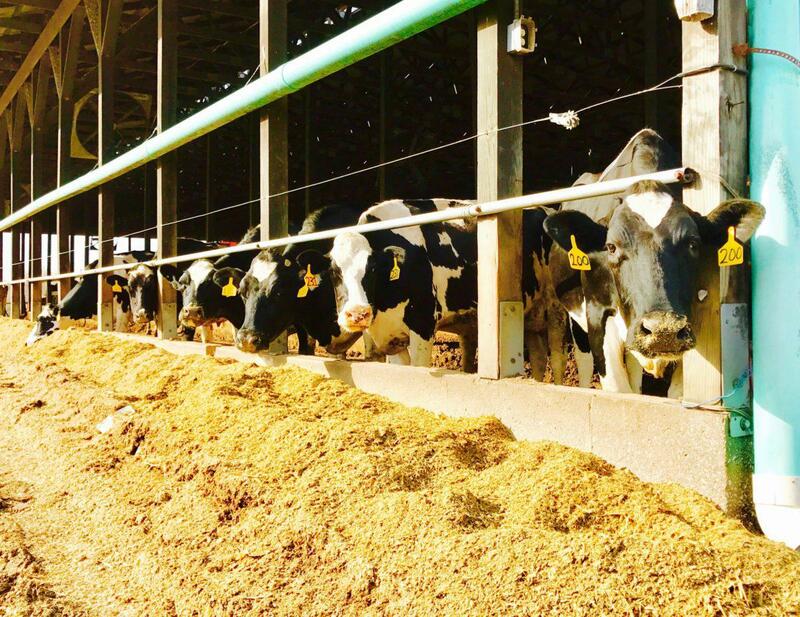 Nicole Erwin with the Ohio Valley ReSource regional journalism collaborative takes a look at the dairy market and its challenges for farmers. “In 2013, we had an F-2 tornado that totally destroyed all the facilities here except the one we are sitting in, which is the milk parlor itself,” Rock said. If that had been lost, he said, he would not have rebuilt. Instead, things moved forward with help from his community. Rock said the changes ended up helping his operation significantly. But within weeks of the farm’s return to production, tragedy again: Rock lost his legs in a tractor accident. Still, the dairy provided, and this time with more than an income. Now, the farm looks to weather its greatest storm yet: a disastrous drop in revenue. 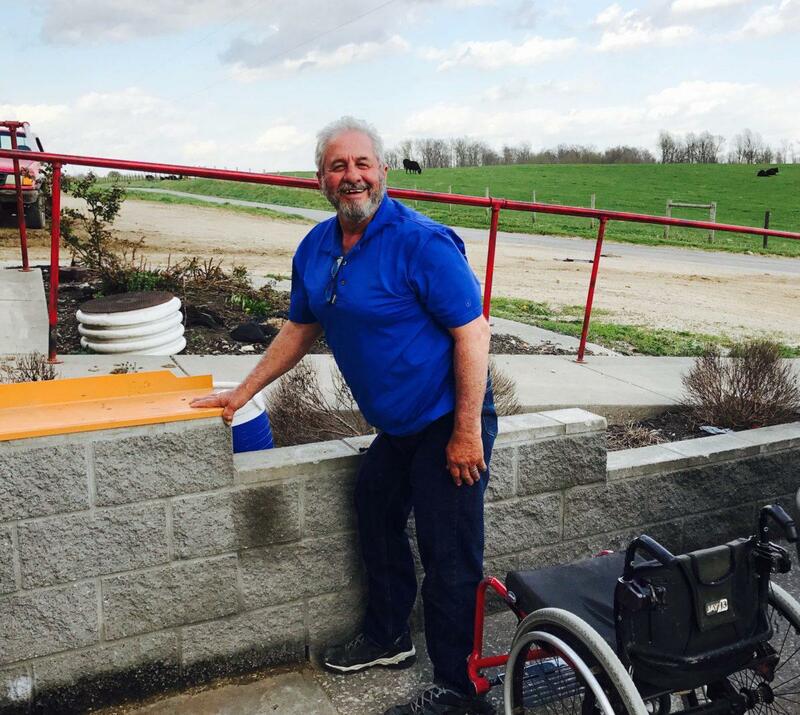 Gary Rock lost his legs in a tractor incident, and says being able to milk cows "enabled me to find life again." Now, Rock says he's not sure how much longer he'll be able to keep his dairy going due to a cratering milk market. This isn’t a Rock family problem, this is a dairy industry problem. Prices have plummeted in a market flooded with supply from foreign producers and larger operations squeezing out small farmers. The crisis has dairy farmers rethinking the U.S. market system and looking to other countries as models for a solution. In the Ohio Valley, the effects have been swift. In February, more than 100 producers across Kentucky, Ohio and five other states learned that major regional buyer Dean Foods would cancel contracts. Another processor, Illinois-based Prairie Farms, is closings its fluid-milk processing plant in western Kentucky in June. The average price of milk has about 30 percent below the cost of production since March, the National Family Farm Coalition said. Things are so bad that dairy producers who do have contracts report that co-ops are attaching suicide prevention information with their checks. Farm Aid Communication Director Jennifer Fahy said the tough times remind her of the 1980s farm crisis, when as many as 2,100 farms would close in a week. Fahy explained that they’ve seen net farm income take a 50 percent drop and dairy is seeing it the most. “Sometimes the best-case scenario is helping a farmer to navigate declaring bankruptcy and getting out before it's even worse, unfortunately,” Fahy said. 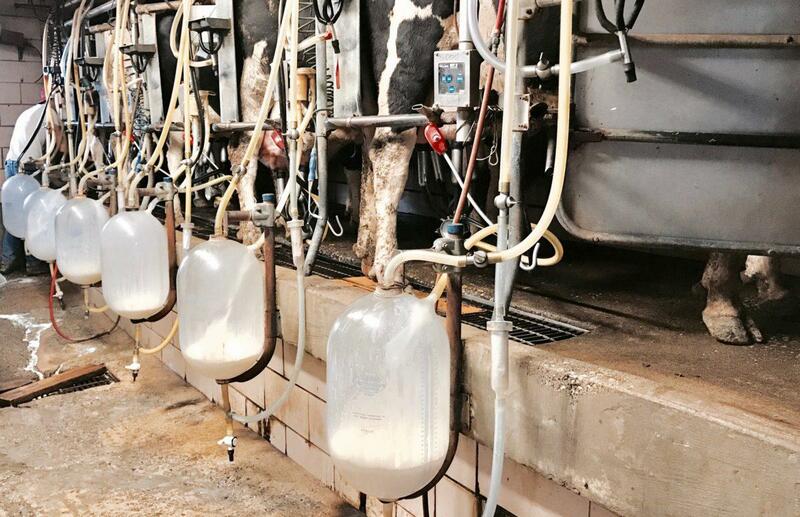 The U.S. open market system is pushing milk production to larger farms. In 1987, half of all dairy cows were on farms with 80 or fewer cows, similar in size to Rock’s operation. By 2012, that midpoint herd size was 900 cows. This milking parlor was the only thing that withstood a tornado on Gary Rock's farm. International trade issues are magnifying problems for the small farms left. International Dairy Foods Association President Michael Dykes blames Canada for violating trade laws. Dykes claimed that some of Canada’s products are being “dumped” at unfair prices due to Canada's system of price controls, known as “Class 7,” implemented last year. He said it stems from an increased demand in butter. Instead of importing to meet their additional butter needs, Canada raised the milk quotas that Canadian farmers can produce. “They increased it almost 6 percent, whereas the U.S. is increasing at about one-and-a-half percent per year,” he said. As Canada upped its quota for domestically produced milk to make more butter, it was left with an excess supply of other products, such as skim-milk powders, for which there was lower demand. “Now you have the Canadians coming in, they are selling skim milk powders on the ground in Mexico at 3-cents-a-pound cheaper than we can from the U.S. to Mexico,” Dykes said. He wants Canada to open its market to more U.S. dairy. He’d like to see NAFTA renegotiated or for the U.S. to rejoin the Trans-Pacific Partnership, an agreement that allowed a small percentage of U.S. imports into Canada before President Donald Trump decided to end it. In April, 68 members of Congress sent a letter to U.S. Trade Representative Ambassador Robert Lighthizer regarding NAFTA negotiations, urging an end to Canada’s pricing program and dairy tariffs, which impose a duty of nearly 300 percent. A look at a few of the dairy cows on Gary Rock's farm. The U.S. Department of Agriculture statistics show there were 40,219 licensed milk-cow herds in the U.S. in 2017, down more than 40 percent from 2003. But the view from Canada is different. Dairy Farms of Ontario CEO Graham Lloyd said Canada’s pricing schemes are targeted at the domestic market. Beyond just defending the Canadian system, Lloyd recommends that the U.S. should give it a try. “From a Canadian perspective there is also a lot of sympathy for U.S. farmers,” he said. Lloyd said Canadian farmers once had the same struggles U.S. dairy farmers face now, before the country moved to its quota-based system. Lloyd said that was all fixed by a supply management system based on three tiers: production control, pricing and import control. Now, prices are constant and stable allowing processors greater predictability, albeit at lower margins. “That allows for greater planning for (farmers) and that's where you can maintain higher returns,” Lloyd said. The U.S. produced more than 215 billion pounds of milk in 2017, up from 170 billion pounds in 2003. The idea is appealing to some farm advocates in the U.S., who argue that emulating the Canadians holds more promise than blaming them. “Dismantling a system that is working in Canada so that they are more available to soak up our excess product ... would not fix what is wrong here,” said Patty Lovera, policy director for the left-leaning advocacy group Food & Water Watch, which has worked to protect smaller farms. In April, a group of small farm advocates sent a letter of their own to congressional leaders and Agriculture Secretary Sonny Perdue. In it, the National Family Farm Coalition, along with more than 50 family-farm, labor and consumer organizations urged immediate action on the dairy crisis by adopting a system like Canada’s. The groups said the best changes could come by implementing proposals suggested in the Federal Milk Marketing Improvement Act of 2011, introduced by Pennsylvania Democratic Sen. Bob Casey. 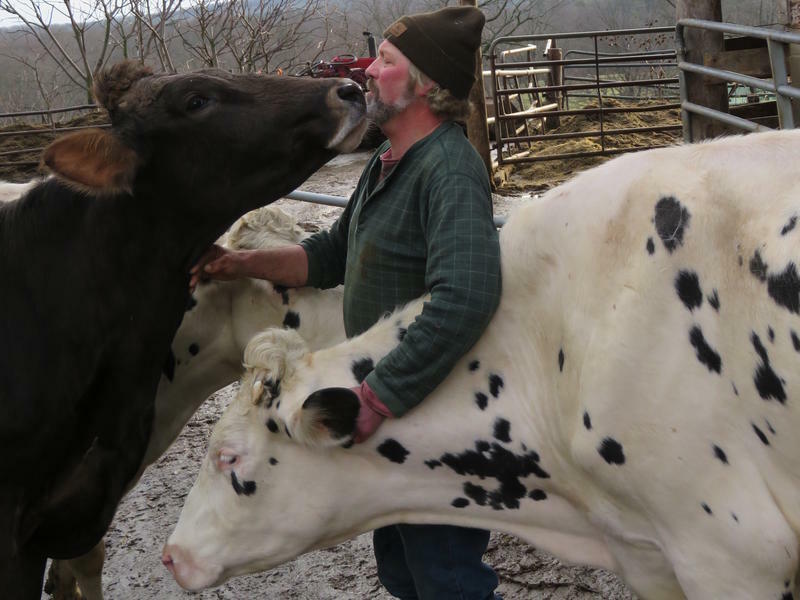 Wisconsin organic dairy farmer Jim Goodman heads the National Family Farm Coalition and believes the supply management system, which Canada has had for 50 years, will work in the U.S.
Nicole Erwin is an agriculture and infrastructure reporter with the Ohio Valley ReSource public media collaborative, is based at WKMS in Murray, Kentucky. Find more Ohio Valley ReSource stories at its website, ohiovalleyresource.org.